The Aluminium Domane range was designed to get Men involved in road cycling, out with their friends or training solo, having fun, getting fit and becoming more confident. 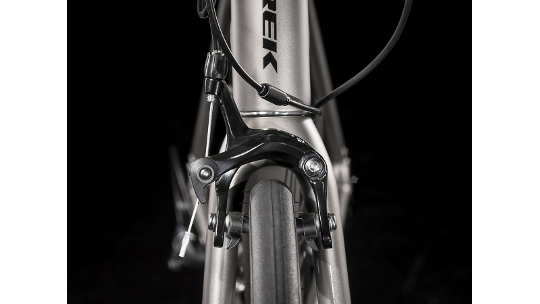 The AL 4 was built in Trek's quality workshop, 100 series alpha aluminium provides strength and stiffness where it needs to be whilst remaining at a minimal weight as well as being backed by the company's lifetime guarantee. A carbon IsoSpeed fork helps to take out the vibration from bumpy road surfaces as well as reducing the overall weight of the bike. 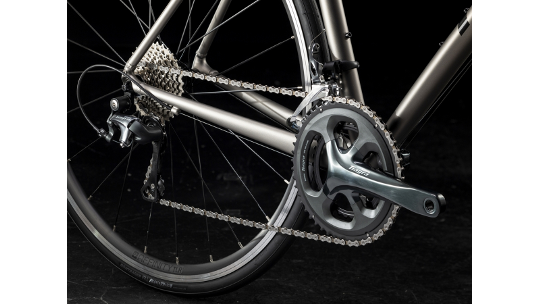 The AL 4 features 20 quick shifting, reliable gears thanks to Shimano's 10-speed Sora groupset. 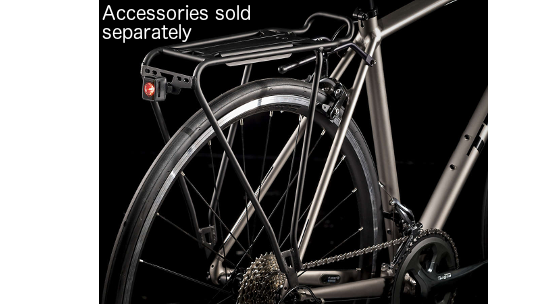 The Domane aluminium is compatible with rack mounts to make commuting easier with the kit you need as well as having a large tyre clearance that means you can fit mudguards to prevent getting mucky and wet in nasty conditions. 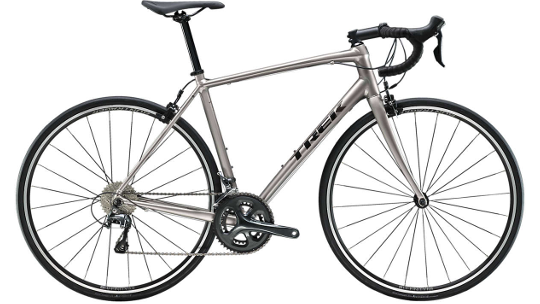 You're beginning to ride faster and further, and you're looking to upgrade to a more performance-orientated road bike that's still comfortable on long rides. You want a wide range of gears for hills and a reliable drivetrain that won't give up on you – even after thousands of miles. A lightweight 100 Series Alpha Aluminium frame with hidden mudguard mounts and a stable Endurance Geometry for a confident ride, a road-smoothing IsoSpeed Carbon fork, a full 10-speed Shimano Tiagra drivetrain with a wider range of gearing for long climbs, Bontrager Affinity Tubeless Ready wheels and puncture-resistant Bontrager R1 Hard-Case Lite tyres for extra confidence on rough roads. Domane AL 4 is a great choice for riders who want to explore more roads and test their limits. The full 2x10 Shimano Tiagra drivetrain has a wider range of gears than more introductory models, which means that you can take on bigger hills and longer rides with confidence.